Driving across Uttarakhand on the way from Pithoragarh to Almora, you’ll come across the Jageshwar temple complex. Hidden away like a treasure trove in between lush Deodar trees the Shiva temple is a sight to behold. The dark green Deodar leaves are in perfect sync with the black temple stone, blue rivulet, and grey sky, almost like nature wants you to enjoy this natural photo filter. The Jageshwar temple complex is estimated to have been built around the ninth to 13th century AD. The architecture will entrance you, and you’ll immediately know that what now seems like a relic, must have stood as a splendor at one time. 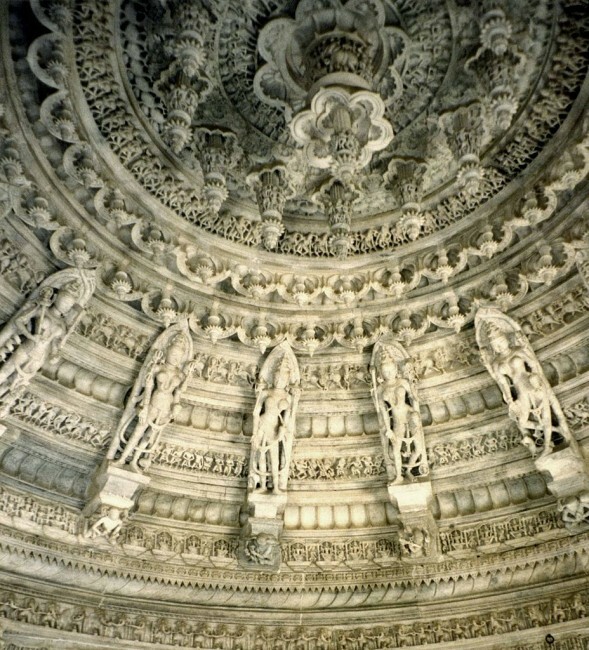 This is just one example of the might and beauty of the ancient Indian temples. Dedicated to Lord Shiva and his consort Shakti, this temple is considered the oldest functional temple in the world. Believed to have been built in the Saka era, the Archaeological Survey of India (ASI) dates it to 108 AD. The temple has been built in the shape of an octagon—which is a rare style of construction. It is considered to be a specimen of the Nagara architectural style. 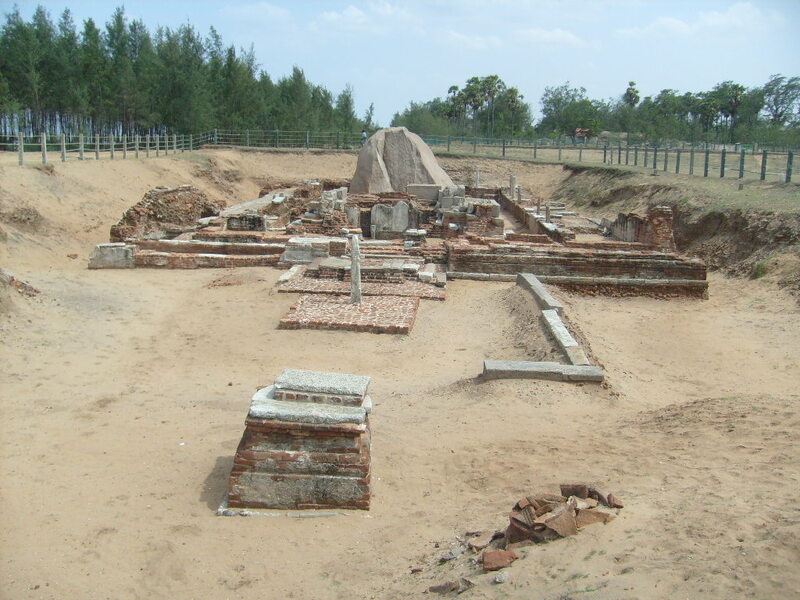 The temple was unearthed in 2005 after the 2004 tsunami that hit the coast of Tamil Nadu. The archaeologists believe that the shrine—dedicated to the deity, Murugan—is the oldest of its kind in the state. 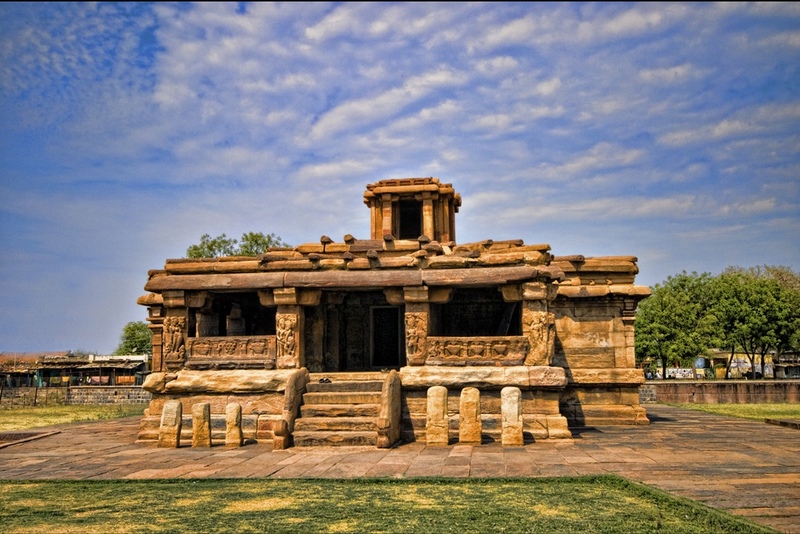 It is a mix of two structures, one belonging to the ninth century Pallava era and the other belonging to the eighth-century Sangam era. 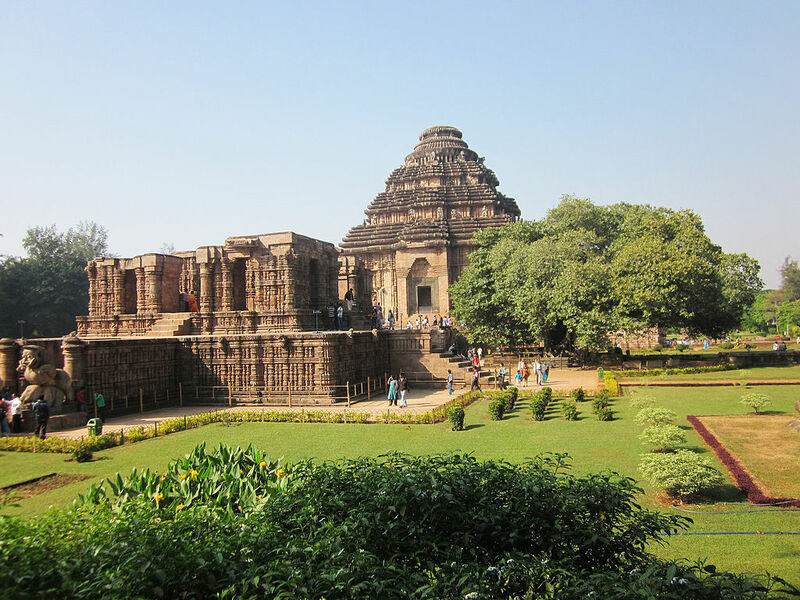 Built in the fifth century, Lad Khan Temple was made by the kings of the Chalukya dynasty. The style of architecture is Panchayatana. It has 12 pillars and a central area containing the shrine dedicated to Lord Shiva. There are many theories why the temple is named Lad Khan—from stories of a prince to a mendicant who lived there. 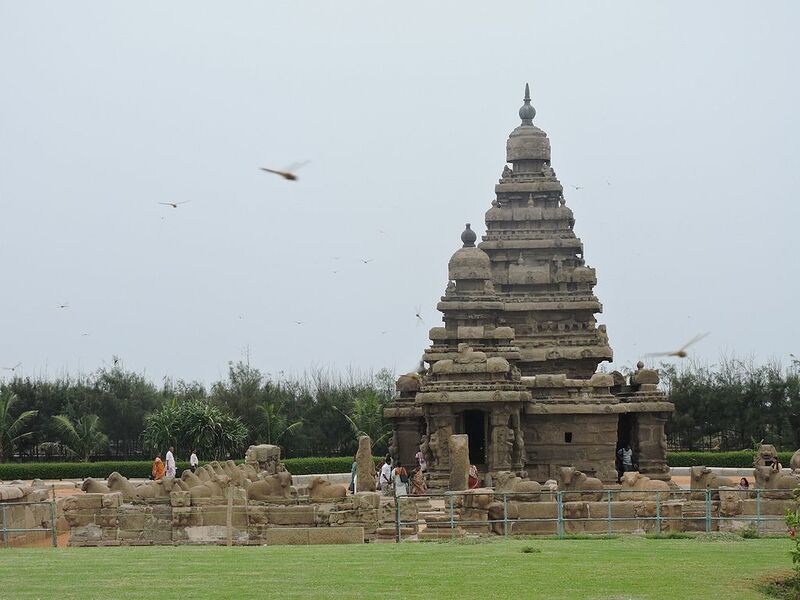 The Mahabalipuram group of monuments are a reflection of the rich cultural heritage of the seventh and eighth century. The structures are a mix of rathas-shaped (Chariot) temples, mandapas (cave) temples, huge open-air rock reliefs and the Shore temple, all dedicated to Lord Shiva. The city itself was built way back in the first and second century, and today, it is classified as a UNESCO World Heritage Site. 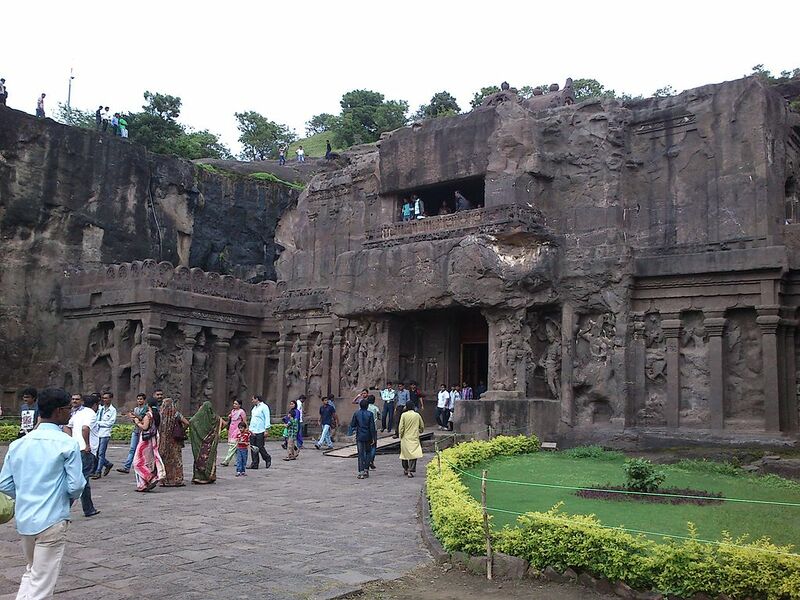 A mammoth and impressive structure carved out of a single rock, the Kailashnath, or Kailasa, temple is the 16th cave among the 34 stunning caves of Ellora. 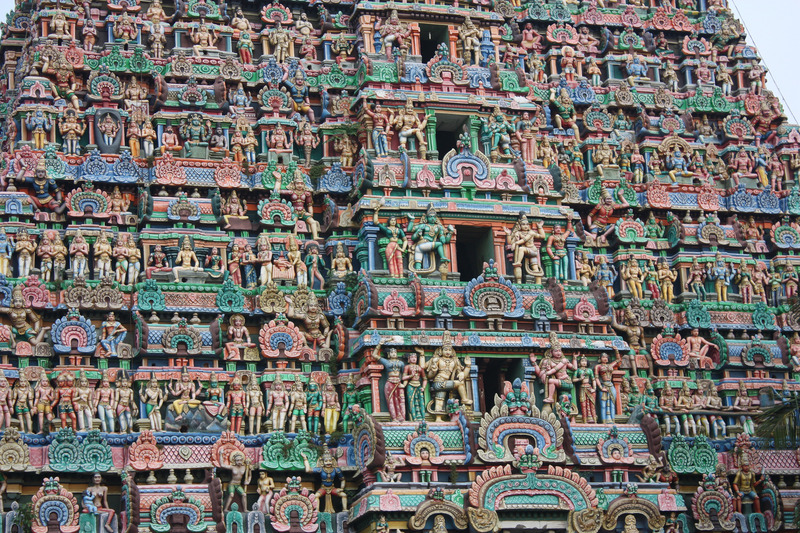 Believed to be built in the eighth century, this majestic temple is built in the Pallava style. It stands at 3,680 meters (12,073 feet) and is the highest Shiva temple in the world. The exact dates of the origin of the temple are obscure, but if the legend is to be believed, it was the Indian mythological heroes Pandava who built the temple to venerate Lord Shiva and seek his pardon. The temple is extremely small in size and can barely accommodate ten people. It is made of black rock, and the construction style is similar to the temple in Kedarnath. The majestic Adi Kumbeswara Temple was built in the seventh century by the Chola dynasty, with later additions and modifications by subsequent kings. The complex is spread over an area of 30,181 square feet, and the eastern tower is the tallest, which stands at 128 feet (11 stories high). During the months of February and March, the festival of Masi Magam is ceremoniously celebrated. 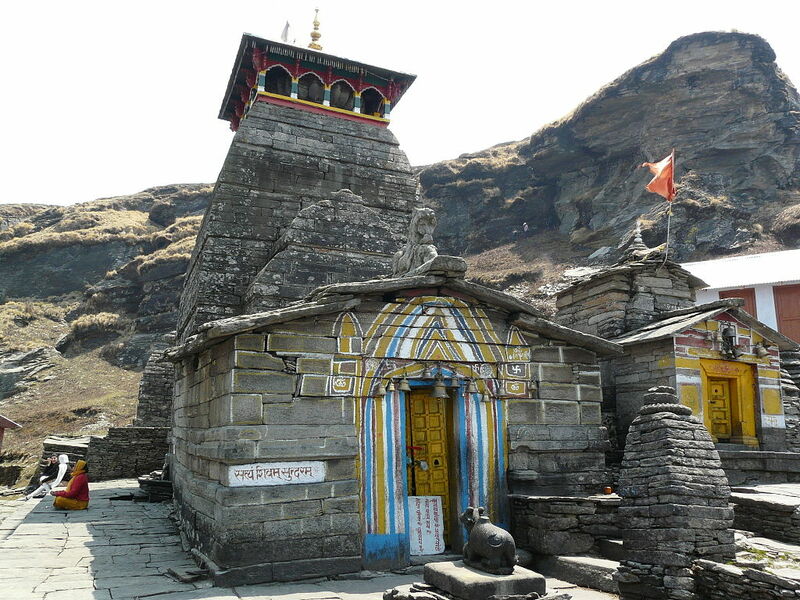 Although the present structure is from the 14th century, the temple itself is believed to have been built some 2,000 years ago by sage Vishwamitra. One of the few temples dedicated to Lord Brahma, the Jagatpita Brahma Temple is built of marble and stone with motifs of the hamsa, or a swan. Another UNESCO World Heritage Site, the Konark Sun Temple was built in the 13th century by the Kings of the Eastern Ganga dynasty. The gigantic structure, now in shambles, stands without the vimana, or the main sanctum, which was 229 feet tall. The temple was in the shape of a chariot—with 12 pairs of wheels and seven horses. Made with Khondalite rocks, it was a specimen of the Kalinga architecture. These Jain temples built by various men between the 11th and 13th century are a handiwork of intricate craftsmanship. Built of marble, these five temples are unique in their architecture and cultural relevance. The exquisite detailing in the ceiling, doorways, and pillars remind you of the splendor of these marvelous temples. 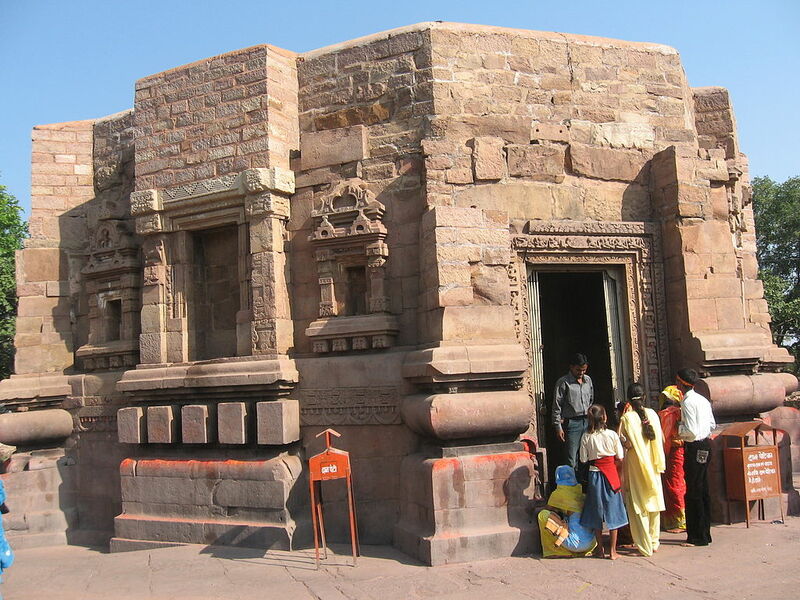 An intriguing mix of Hindu, Jain, and Buddhist cave temples, the Badami Temples were built in the sixth century. Made in the style of Badami Chalukya architecture, these are all man-made in Badami sandstone. 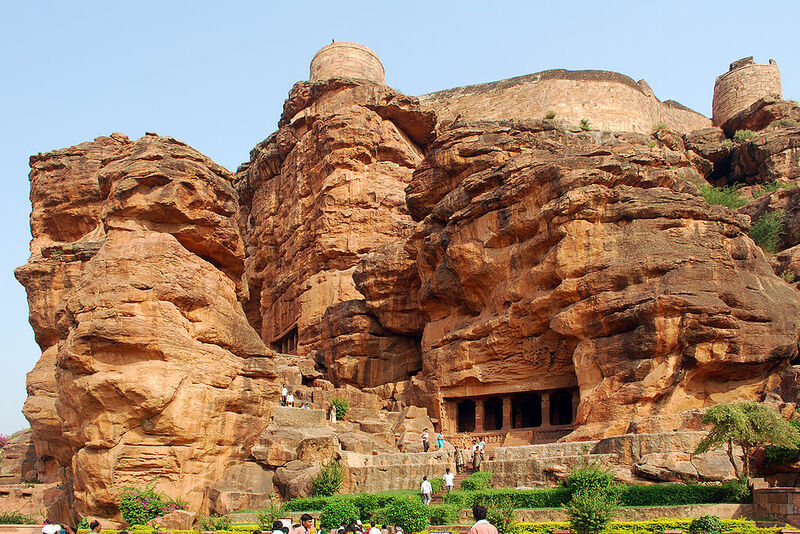 There are six caves—the first three are based on Hindu mythology; the fourth one is dedicated to Jainism, and the fifth one is a Buddhist cave. The sixth one was discovered last year in 2015 and has Hindu carvings. The Group of Monuments at Hampi are also recognized as a UNESCO World Heritage Site. 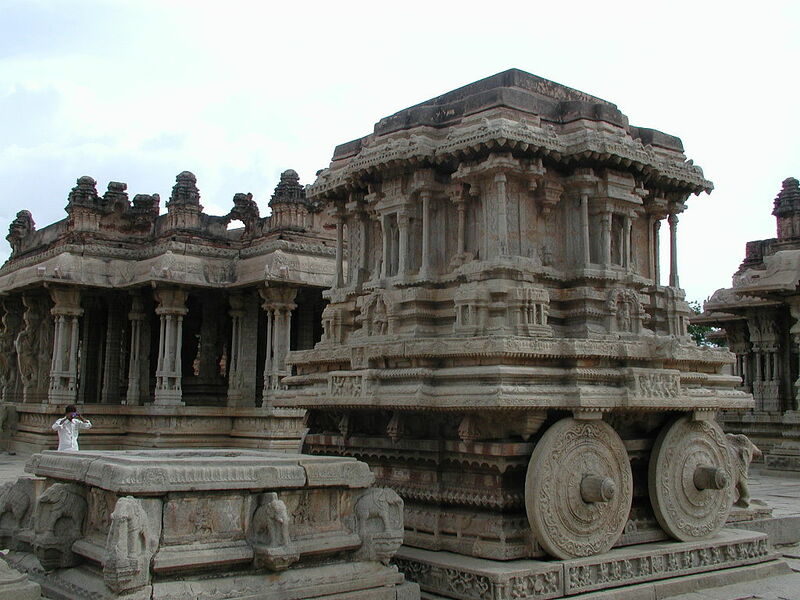 The Vittala temple—the stone chariot – is the most iconic symbol of Hampi. The Virupaksha Temple at Hampi was built in the seventh century by the Chalukya rulers.